Last night, I dragged the boo thang to the KT Tunstall concert at Mr. Small’s Theatre. 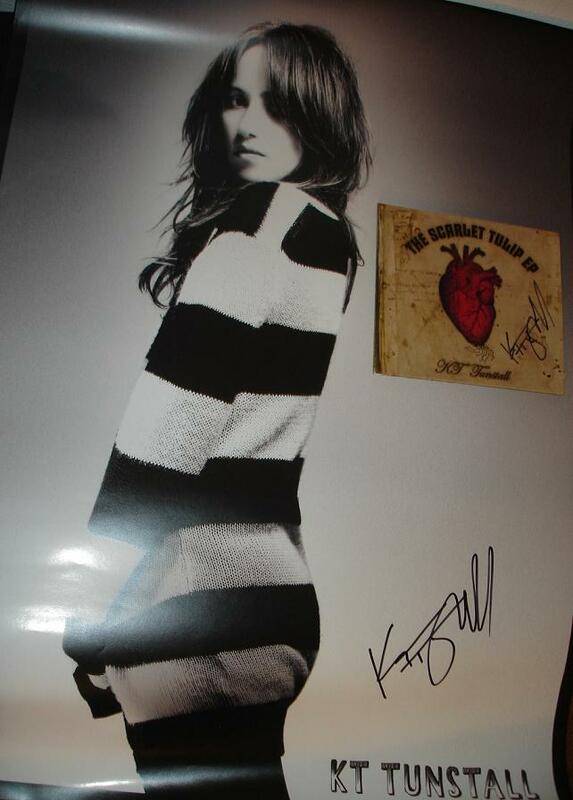 I love love love KT Tunstall! Yes, it was love at first listen. Right before she went on stage, I take a walk to the merchandise table. I see this signed poster, freak out and immediately take out my money. “Oh, you’re right. Sorry about that. You’re actually getting the last one!” he replied. I also saw signed CD’s in which she’s selling on this tour and you can’t get it anywhere else right now as they are only available for pre-order. Um, yeah, gimme that too! My boo ended up enjoying the concert. All in all, it was a win-win situation. Below is my favorite KT Tunstall song, ‘Ashes.’ You’re very welcome.